A panoramic historical analysis focuses on the Bible as an account of the unfolding of humanity’s spiritual development on Earth. According to debut author Moffatt, the modern age is one of fractured promise: advances in technology have liberated humans from economic scarcity, and new vistas opened up by physics have helped illuminate the order of God’s Creation. But the schism between the natural and social sciences—and the resultant exaltation of humanism and technological progress over theology and metaphysics—makes a coherent view of the whole elusive. In addition, a new understanding of the rights of man, consummated in the Declaration of Independence, achieved political liberty, but the repeated attempts to deliver democracy abroad threaten to undermine that accomplishment. Further, the philosophical discovery of the individual during the Reformation is diminished by the ensuing isolation from God and his deepest spiritual ends. Moffatt provides both a synopsis of biblical history and the gradual formation of Western civilization, profoundly linked given the nature of the Bible’s successive revelations over time: “The Bible is a cumulative narrative of man’s spiritual evolution through God’s continuing revelation of Himself, as man was able to understand.” The author’s good news is that the proper consummation of the Judeo-Christian religion provides the key to ushering in a new Age of Integrity, wherein a harmony between humans and God is established. What is needed is a religion that properly places Jesus at its core and an appreciation of the way in which the Trinity presents the metaphysical key to comprehending the totality of the cosmos. 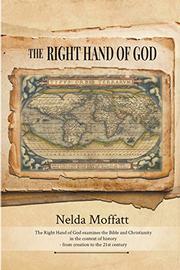 Moffatt’s multifaceted survey is astonishingly ambitious, and the author’s erudition is both broad and deep. (The book also includes various maps and charts to aid readers.) But Moffatt simply covers too much ground in just over 210 pages—the thesis furnished is so sweeping it would take several volumes to become fully convincing. For example, the author argues that the Creation story in the book of Genesis presciently anticipates much of modern science. But Moffatt never makes the possibility that there is a biblical recognition of dark energy and dark matter even remotely plausible. An intellectually provocative study that turns out to be more comprehensive in scope than argumentatively persuasive.